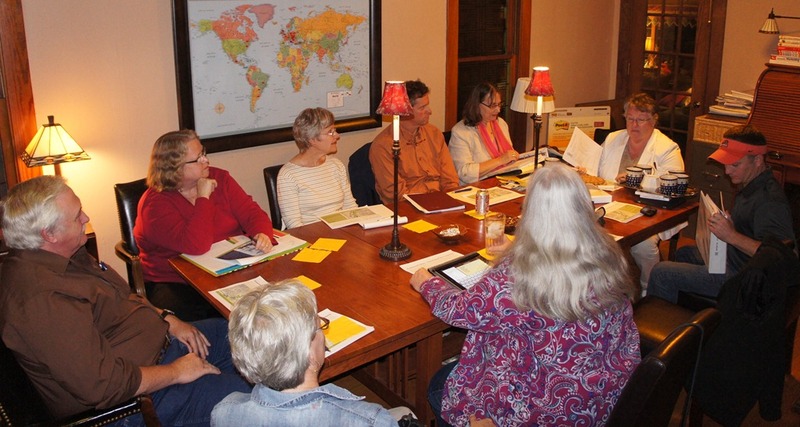 On Tuesday night, I sat in on a meeting of citizens who are interested in taking the Northfield Roundtable’s Greening of the Commons to the next stage. Those present (clockwise from the left): Steve Engler, Bonnie Jean Flom, EdDee Imm, Dave Van Wylen, Lynne Young, Pat Allen, Dale Gehring, Lynn Vincent, Ann Mosey. There will be others at the next meeting who couldn’t be at this one. What is a Framework Plan? A document of conceptual illustrations to inspire ideas, generate conversation and explore “what could be.” A Framework Plan supports a larger idea of the whole, that is easily lost when individual elements are only considered as separate entities or identities. The Framework Plan will always be a work in progress. It is a document designed to be inspirational rather than prescriptive, with an emphasis on what could be as opposed to what should be. The goal is to encourage long-range visioning that will keep Northfield, Minnesota, an attractive and vibrant place to live, learn, work and play…well into the future. The Northfield Roundtable will be making a presentation to downtown stakeholders at the NDDC’s Downtown Forum, this Tuesday, October 4th, 8 a.m., in the Riverside Conference Room (lower level) of the Archer House River Inn, 212 Division Street. As always, the Forum is free and open to the public; coffee and cookies will be served.